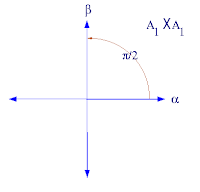 The only scalar multiples of a root α ∈ Φ that belong to Φ are α itself and −α. 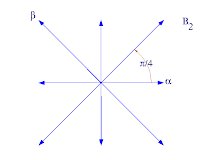 For every root α ∈ Φ, the set Φ is closed under reflection through the hyperplane perpendicular to α. 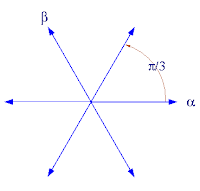 That is, for any two roots α and β, the set Φ contains the reflection of β in the plane perpendicular to α. (Integrality condition) If α and β are roots in Φ, then the projection of β onto the line through α is a half-integral multiple of α. In view of property 3, the integrality condition is equivalent to stating that β and its reflection σα(β) differ by an integer multiple of α. 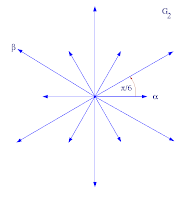 The rank of a root system is the dimension of the Euclidean space V in which it resides. Here are examples of rank 2 systems. In vascular plants, the root is the organ of a plant body that typically lies below the surface of the soil. 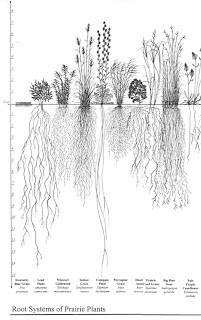 But, this is not always the case, since a root can also be aerial (that is, growing above the ground) or aerating (that is, growing up above the ground or especially above water). On the other hand, a stem normally occurring below ground is not exceptional either (see rhizome). So, it is better to define root as a part of a plant body that bears no leaves, and therefore also lacks nodes. There are also important internal structural differences between stems and roots. The two major functions of roots are 1.) absorption of water and inorganic nutrients and 2.) anchoring the plant body to the ground. Roots also function in cytokinin synthesis, which supplies some of the shoot’s needs. They often function in storage of food. The roots of most vascular plant species enter into symbiosis with certain fungi to form mycorrhizas, and a large range of other organisms including bacteria also closely associate with roots. Roots is a 1977 American television miniseries based on Alex Haley‘s work Roots: The Saga of an American Family, his critically acclaimed but factually disputed genealogical novel. Roots was made into a hugely popular television miniseries that aired over eight consecutive nights in January 1977. Many people partially attribute the success of the miniseries to the original score by Quincy Jones. 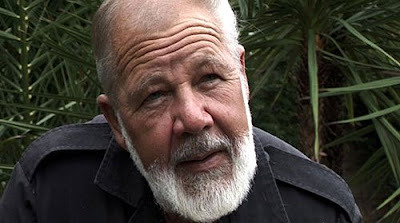 ABC network television executives chose to “dump” the series into a string of airings rather than space out the broadcasts, because they were uncertain how the public would respond to the controversial, racially-charged themes of the show. However, the series garnered enormous ratings and became an overnight sensation. 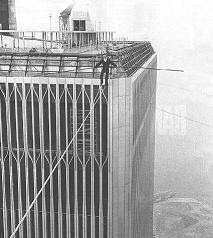 Approximately 130 million Americans tuned in at some time during the eight broadcasts. The concluding episode was rated as the third most watched telecast of all time by the Nielsen corporation. The cast of the miniseries included LeVar Burton as Kunta Kinte, Leslie Uggams as Kizzy and Ben Vereen as Chicken George. A 14-hour sequel, Roots: The Next Generations, aired in 1979, featuring the leading African-American actors of the day. In 1988, a two-hour made-for-TV movie, Roots: The Gift, aired. Based on characters from the book, it starred LeVar Burton as Kunta Kinte, Avery Brooks as Cletus Moyer and Kate Mulgrew as Hattie, the female leader of a group of slave catchers. 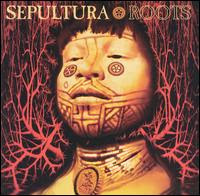 Roots is the sixth studio album by Brazilian thrash metal band Sepultura, released in 1996 through Roadrunner Records. It was the band’s last album to feature Max Cavalera. The majority of the themes presented on Roots are centered on Brazilian politics and culture. The inspiration for Sepultura’s new musical directon was two-fold. One was the desire to further experiment with the music of Brazil, especially the percussive type played by Salvador, Bahia samba reggae group Olodum. A slight influence of Northeastern Brazil‘s native music is also present in the guitar riffs, especially baião and capoeira music. Another innovation Roots brought was the inspiration taken from the (then) cutting-edge nu metal sound of the Deftones and KoЯn – especially the latter’s debut, with it’s heavily down-tuned guitars. Roots was released in February 1996 and received with unprecedented enthusiasm. Even the popular press, that usually doesn’t pay a lot of attention to metal records, halted the presses to appreciate the unusual rhythms mixture of Sepultura. 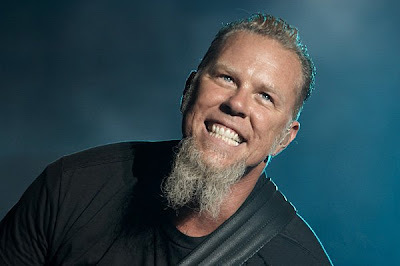 American newspapers like The New Times, the Daily News[disambiguation needed] and the Los Angeles Times reserved some space for the Brazilian band: “The mixture of the dense metal of Sepultura and the Brazilian music has a intoxicating effect”, wrote a Los Angeles Times’ reviewer. The Daily News went even further: “Sepultura reinvented the wheel. By mixing metal with native instruments, the band resuscitates the tired genre, reminding of Led Zeppelin times. But while Zeppelin mixed English metal with African beats, it’s still more moving to hear a band that uses elements of its own country. By extracting the sounds of the past, Sepultura determines the future direction of metal”. Acknowledgements: This post would not have been possible without the untiring effort of all of those kind folk at Wikipedia who are up at all hours of the day and night writing entries.